At the moment Weston is the default UI for postmarketOS. It is simple and helps us to keep researching and developing the base of pmOS but in the future we will also support other more sophisticated and fancy User Interfaces. Here is a list showing examples and the on-going work on this topic. Weston is the default, minimal, interface based on XWayland. It allows developers to do "simple" things like running firefox and opening a terminal, plus testing the touchscreen and other peripherals. Plasma Mobile is a mobile variant of the KDE Plasma user interface, optimized for touchscreen. For more information, see issues #161, and #378. Hildon is an application framework originally developed for mobile devices (PDAs, mobile phones, etc.) 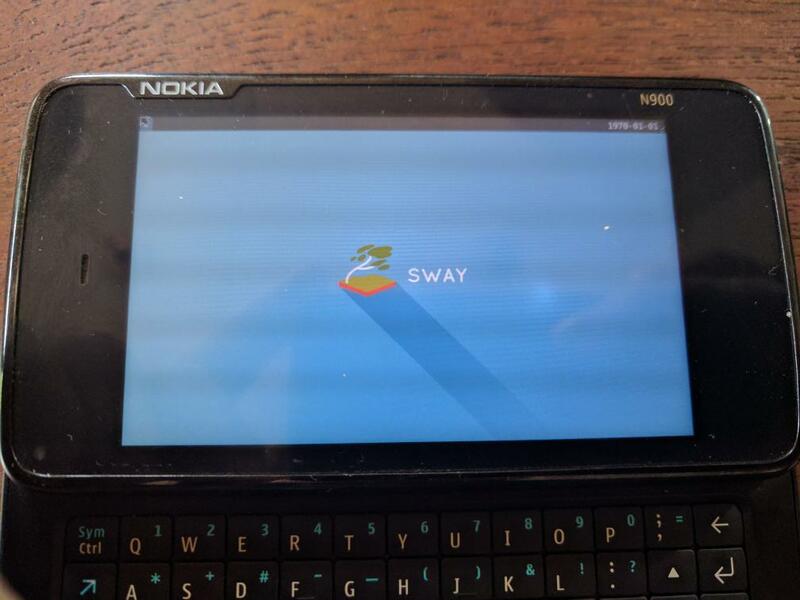 running the Linux operating system as well as the Symbian operating system. It was developed by Nokia for the Maemo operating system and is now a part of GNOME. It focuses on providing a finger-friendly interface. It is primarily a set of GTK+ extensions that provide mobile-device–oriented functionality, but also provides a desktop environment that includes a task navigator for opening and switching between programs, a control panel for user settings, and status bar, task bar and home applets. It is standard on the Maemo platform used by the Nokia Internet Tablets and the Nokia N900 smartphone. Hildon is based on GTK2 and there is a work in progress port to GTK3. For more information, see PR #461. MATE is a full GTK-based desktop environment forked from the code base of GNOME 2. Xfce4 is another full GTK-based desktop environment, aiming to be fast and lightweight. Which components of SailfishOS are open? PDA interfaces, may be desirable, as they are suited to devices capable of stylus input, such as the Nokia N900 and Galaxy Note devices, as well as devices with constrained system resources. There is some work into porting components from these to PMOS. Other graphical interfaces supported by Alpine should work to some extent on pmOS. These include GNOME 3.